When a cavity gets too large, regular dental fillings cannot predictably fill the defect created by the cavity and is prone to failure. In these situations, crowns are the treatment of choice as it offers excellent predictability by completely covering the tooth. Unlike fillings, which can leave thin corners in your teeth that are prone to fractures, a dental crown completely covers the tooth. 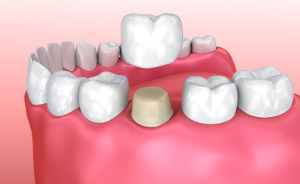 This makes dental crowns a great solution to replacing damaged or compromised teeth. Dental crowns can also be used for cosmetic purposes. These caps can add structure and mass to uneven or short teeth and improve the appearance of your smile. If you are in the habit of grinding your teeth, consuming acidic food items, or have health problems like GERD and bulimia, your teeth will face a considerable amount of wear and tear. These problems can remove the enamel on your teeth and make them more vulnerable to decay. Dental crowns will protect worn down teeth and minimize the damage. Like a large filling, the root canal also weakens the structure of the tooth. Dentists will remove the top portion of your tooth to access the nerve underneath and remove it. They will apply a dental crown over the exposed root to protect it and rebuild its structure. If the cusp and root is intact, you don’t need to extract the tooth and add implants. You can simply place a dental crown over the root and the remainder of the tooth. A dental crown covers a damaged tooth, making it stronger and improving appearance, alignment, or shape, if necessary. Crowns are also used on top of dental implants as replacements for missing teeth. Porcelain bonded to metal is often preferred because it’s strong and can be made to look exactly like your natural teeth. However, your dentist may recommend acrylic, ceramic, or a metal alloy for certain teeth, as these materials are stronger. Crowns are often used to: 1) Improve the appearance of a misshapen or discolored tooth, 2) Fix a fractured tooth or prevent a weak tooth from fracturing, 3) Attach a bridge, 4) Cover a dental implant, 5) Cover a tooth that has undergone a root canal. During the first procedure appointment, the dentist will numb your teeth with dental anesthetics. Once your teeth are numb, your teeth will be reshaped with a dental handpiece. 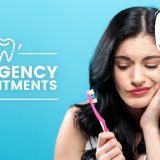 You can expect a lot of air and water during the appointment that will be suctioned throughout the reshaping by our dental assistant. The color of your teeth and molds of your reshaped teeth will be taken and sent to a dental laboratory for fabrication. Afterwards, temporary teeth will be made and cemented, so you don’t have to walk around with the missing tooth. 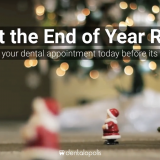 After a few weeks, your office will receive the completed permanent crown. During the delivery appointment, you may/may not be numbed based on your sensitivity level. The dental crown is fitted and adjusted to fit your bite. Once everything has been confirmed, the dental bridge will be attached with permanent cement, and you will have your new teeth!